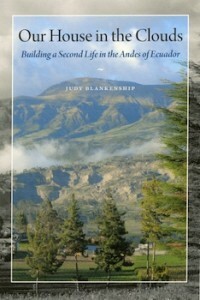 I’ve published two books about our life in Ecuador. The first grew out of my journals and dispatches sent to friends and family during a 2000-01 Fulbright photography project. The second, published in March 2013, also by University of Texas Press, grew out of a second Fulbright project that tells the story of our decision to live permanently in the community (six months each year), buy a small piece of property, and build a house. “While many baby boomers are downsizing to a simpler retirement lifestyle, photographer and writer Judy Blankenship and her husband Michael Jenkins took a more challenging leap in deciding to build a house on the side of a mountain in southern Ecuador. In this absorbing memoir, Blankenship tells the interwoven stories of building their house in the clouds and strengthening their ties to the community. Blankenship writes vividly of the rituals of births, baptisms, marriages, festival days, and deaths that counterpoint her and Michael’s solitary pursuits of reading, writing, listening to opera, playing chess, and cooking.” Joanne B. Mulcahy, author of Remedios: The Healing Life of Eva Castellanoz. 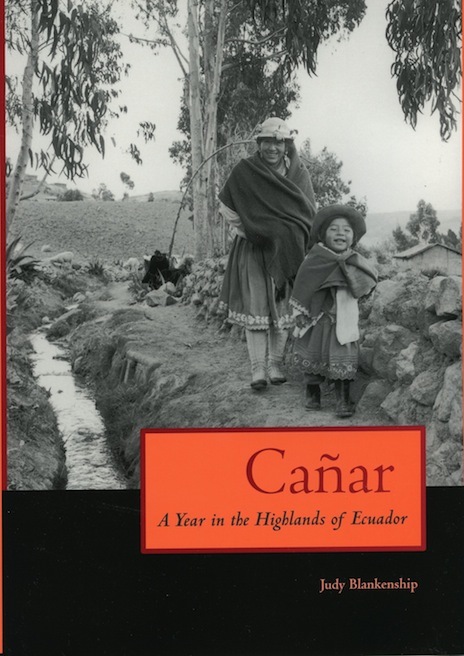 Cañar: A Year in the Highlands of Ecuador (University of Texas Press, 2005) Short-listed for the Oregon Book Awards in 2006. “This superb collection of Blankenship’s photographs and journal-like text creates a moving, intimate portrait of a people trying to balance the demands of the twenty-first century with the traditions that have formed their identity for centuries.” Beautifully written and illustrated by a gifted photographer, the book has much of importance to say about the daily lives being experienced by the Cañari people. Cañar: A Year in the Highlands of Ecuador is written with heart and comes from the soul.” Michael Hamerly, Brown University, Editor, Ecuadorian Studies. 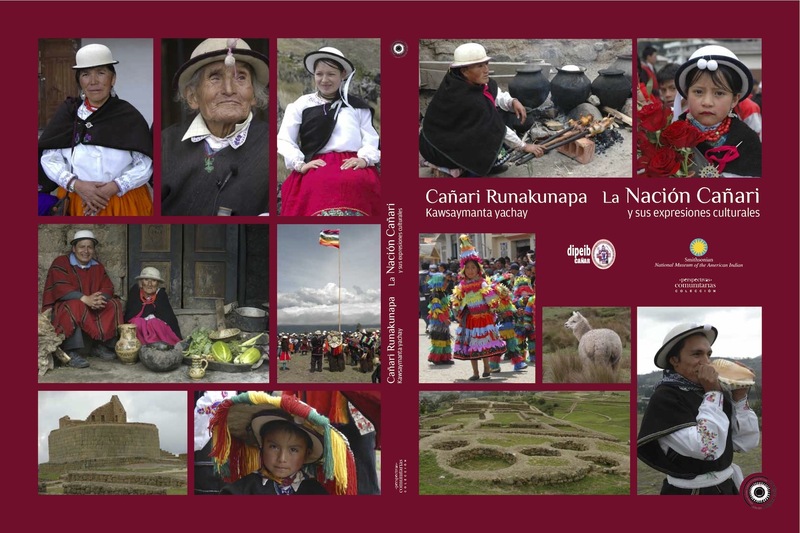 With Cañari colleagues and the Smithsonian’s National Museum of the American Indian (NMAI), I worked as photographer and photo editor on La Nación cañari y sus expresiones culturales, (The Cañari Nation and Its Cultural Expressions) a bi-lingual book project (Kichwa/Spanish) for educators, scholars, and others interested in heritage languages and Andean cultures. It was launched on January 31, 2013. Wonderful to see these photos. Things have progressed a lot since I was there in 1967. Judy, sumak yachak warmi, con tu trabajo nos haces reflexionar que nuestro territorio kañari y cañarense es diverso y complejo, y tenemos una gran riqueza en diferentes aspectos, sin embargo en estos últimos tiempos está en desequilibrio, me interesa alguna vez dialogar con usted porque me doy cuenta que usted tiene bastante material para observar y escribir una abrazo.